Be Proud of What You’ve Accomplished to Date! Westside Tutoring & Testing Services Fall 2014 ACT & SAT Prep Classes: The Future Is in Good Hands! I have been through your practice exams and I have to tell you…I couldn’t be prouder! We are imperfect beings, all of us. We strive for perfection but, ultimately, it’s a Sisyphean task! Once we’ve mastered a task, a subject, or a physical or intellectual feat, we are faced with even greater challenges. And, as we move forward from one task to another, we are constantly pushed to step outside of our comfort zone. Being pushed is out of our comfort zone is never easy. In fact, it can be downright uncomfortable; and yet, it is only through striving for something better, something greater than ourselves, that we end up knowing our true selves. These are all necessary steps we must take as we travel our path through life. Intellectual, spiritual, and physical growth can be difficult…if not downright painful! Nor should it…at least not to the vast majority of us. I wonder if those individuals who appear to have it “easy.” or “easier,” are really being honest about just how “easy” they have it! You are a remarkable group of young people and I am proud to be your teacher, tutor, mentor, and friend. God has blessed you with a myriad of gifts, gifts you have put to good use. As we move forward and ultimately go our own ways, I want you to know that my door is always open to you and my home is always your home. It has been a privilege and a pleasure to work with each and every one of you and for that I will be eternally grateful! The future belongs to you…so seize each and every day. I am grateful to be of service and I wish you every good thing in life! Interestingly, there are as many tutors, test prep companies, books, blogs, and websites dedicated to improving your ACT score as there are students taking the all-important standardized college/university admissions test this year. There are, in fact, more search results for the keyword phrase “How to Earn a Top ACT Score” than there are students entering college this fall! As of this writing, March 27, 2014 at 5:16pm, googling the keyword phrase “How to Earn a Top ACT Score” resulted in 195,000,000 results for that search engine results page (SERP). If there are that many experts, either in the form of independent tutors or companies dedicated to helping you improve your ACT score—ostensibly—then why aren’t there more students earning Composite scores of 28 and up? Why aren’t there more ACT test takers earning scores well into the 90th percentile? There are many experts who talk a great game (promising strategies that will yield 28s, 32s, even 36s), some would say far too many; but, there are very few teachers, mentors, and coaches who can deliver the much-sought-after Perfect 36 on test day! Why? Well, there are many reasons and I am going to cover at least a few of them here. Why is there such a disparity between advice offered and ACT Composite scores earned? I could dazzle you will all kinds of data. YAWN! I could question this author’s assertions. YAWN again! Or that company’s bold claims. Yup! YAWN a third time! But when all is said and done, there’s only one question that matters…right? How do you close the gap between their claims and your results? In other words, how do you go from being a practice player to a game day starter? How do you—or your son or daughter—become an All-American when competing in the only contest that matters on June 14, 2014, September 13, 2014, October 25, 2014, December 13, 2014, February 7, 2015, or June 11, 2016? Here are a few of the strategies we use to help Westside Tutoring & Testing Services’ students routinely score well into the 90th percentile over the past few years. In point of fact, I have been helping students “ACE” the ACT, SAT, SSAT, GRE, LSAT, as well as most of the other standardized exams and proficiency tests created in the name of assessing ability to perform at the next level,** for more than thirty-four years (since 1980). Unfortunately, we have witnessed a rather profound shift in education and testing over the past 34 years. Today, we are teaching students to take the test solely for the sake of the test. Well, not solely! We are also continuing to test in order to keep an industry in place…an industry that is worth millions. Because that’s what it takes to get you or your son or daughter into the college or university of your choice. Additionally, it is often a crucial component in the awarding of scholarships. In a very real sense, doing well on the ACT can mean extra money for college! So, a little time, money, and effort now can yield huge dividends for years to come! Admission to the college or university of your choice. Increased financial aid in the form of grants and scholarships. The opportunity to study with students and faculty that will make a difference over the course of your college/university experience, and beyond. The opportunity to network with students and faculty that will make a difference over the course of your working life, regardless of your eventual major and lifetime pursuits. WTTS ACT Test Preparation Course students benefit in a number of areas now and over the course of their academic lives. Direct impact on English grades (i.e., improved grades). Direct and lasting impact on math performance and the ability to think analytically. 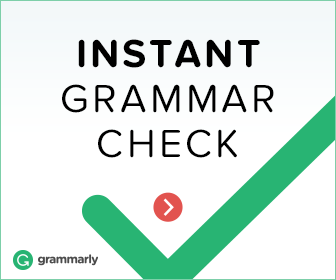 Improved writing skill (i.e., understanding style, grammar, syntax, etc.). Enhanced test taking ability (i.e., remember that test anxity?). Vastly improved study skills and habits. Perhaps the two, most significant, long-term benefits are the ability to set and achieve goals and effectively manage time (i.e., prioritize tasks and accomplish what you set out to accomplish – regardless of the obstacles along the way). Take the ACT early and often. By early and often, I mean that you should take your first ACT by the fall of your sophomore year. In order to master the test and score big, you—your son or daughter—must spend at least 2-3 hours weekly working through practice tests. Nothing prepares a student for the ACT like taking the ACT, repeatedly. As you practice, learn from your errors, correct, test; learn from your errors, correct, test; learn from your errors, correct, test…. Find an experienced tutor, mentor, and coach with a proven record of accomplishment. You really do need the right person, someone who can be a tutor, mentor, and coach, someone you can come to know, like, and trust! Find an in-person, one-on-one ACT Test Preparation Course. Classroom courses, particularly the new wave of budget, cookie-cutter, mass-production type courses, many meeting once weekly for 4-6 weeks in a local high school, are a complete waste of time and money. You are better off buying a text online and donating the difference in cost to your local food bank. That’s right, your minimum becomes your maximum. In other words, whatever score you decide upon (i.e., the score you must achieve for whatever the reason) has become a barrier to a higher score. In setting your sights too low, you have in effect setting a barrier that will be almost impossible to breach. Tragically, you’ve just set your maximum, a barrier of your own making! Worse yet, you’ve almost certainly set yourself up to earn an even lower score. Undoubtedly with the best of intentions, you have set a goal—and that’s admirable, by the way—that will become an obstacle rather than a vehicle to success. Why not set your sights on a 34-36 for your ACT Composite? Someone has to earn a 36, why not you? What is the worst that can happen? You achieve a 32? Plan hard! Work hard! Practice hard! Test hard! Adjust your performance! Practice even harder! Get to know the test inside and out, leave nothing to chance. Westside Tutoring & Testing Services’ students certainly do and do not, respectively. …a 36 Composite on the ACT! Your body is a temple. Treat it as if it is! Take care of your body and your mind. You are in training. In a very real sense, you are entering one of the most important contests of your life. Exercise daily, five to six times weekly, even if exercise means going for a 30 minute walk with your dog. As a matter of fact, your dog will become an accountability partner, keeping you honest and making sure you walk even when you don’t quite feel up to it. This will be especially true if you take your walk at the same time every day. Eat right and get plenty of sleep, particularly the week before the exam. Prepare well in advance so you can relax over the final week prior to the exam, knowing you are ready…that you have done all you can do! Read Choke: What the Secrets of the Brain Reveal About Getting It Right When You Have To by Sian Beilock. The Kindle version works and it will be the best $10.38 you have ever spent. Whether you actually do have a problem with test anxiety (i.e., choking) or not, the information in this book will help you understand yourself and how to perform optimally in pressurized situations. I have given Choke to several of my students over the past year. It will be one of the best investments you will make this year…or in any year for that matter! I love my students and I love my job…if you can even call it a job. It is certainly not work! Helping Westside Tutoring & Testing Services students achieve their goals has become the sole purpose of my working life. Finding out that one of my students just nailed a 34 Composite on the ACT—after having been stuck at 27 over his last two attempts—has been one of the high points of the past year. Another high point was finding out that a young Bay Village resident who had taken the PRAXIS II for English teacher certification seven times had passed on his eighth attempt. He passed the exam after working with me for 4 weeks. At Westside Tutoring & Testing Services, our record speaks for itself. It does so through the successes of our students…our raison d’être. Our students’ successes are our successes! If you or someone you know needs help preparing for the ACT, SAT, GRE, LSAT, ASVAB, or any of the other entrance or proficiency exams, call today. We can help! Do not settle for being less-than or second best. Earn the 36 ACT Composite you are meant to achieve. Someone has to, why not you? Serving NE Ohio for More than 3 Decades! **Sadly, it is widely recognized that, just as the ACT and SAT are no longer considered aptitude or intelligence tests, neither is a reliable indicator of who will do better in college and/or graduate or professional school. Who does better on the SAT or ACT? Boys! Who does better in college? Girls! ***The 3-4 full-length practice ACTs includes an initial full-length exam to set a baseline and to establish a realistic, yet aggressive goal score. ACT practice tests are included in the WTTS ACT Preparation Course. For more info call Professor Z at 216-712-7004 today! Congrats to all of the Westside Tutoring & Testing Services students who achieved WTTS ACT-SAT Honor Roll status by earning scores in the 90th percentile on the SAT and/or ACT in 2013. Over the past year (2013), we have had the privilege and pleasure of working with students from all over NE and North Central Ohio…all of whom were interested in earning the very best score possible on the ACT and/or SAT. We would also like to congratulate our academic tutoring students for improving your grades across the board. We are looking forward to more, and even greater success, in the months and years to come. NOTE: Obviously, we can’t take the exam for our students, nor would we want to! However, we do everything in our power to assure our students of an excellent result. Ultimately, the final score is up to the student and how much time and effort they are willing to put forth. Not to mention how much support they receive from family and friends. That being said, we at Westside Tutoring & Testing Services make sure our students have all of the tools necessary to achieve an outstanding result…whether this is their first time taking the exam or their fifth! We strive to deliver our very best in every instance because…Our Students Comes First…Always!